Like many other hot markets, the cloud identity management space is hard to pin down. Every vendor in the space has their own definition of what cloud identity management means – and end users have their own ideas of what they are looking for in Cloud IAM. Often, the two don’t match-up very well, and the result is confusion. 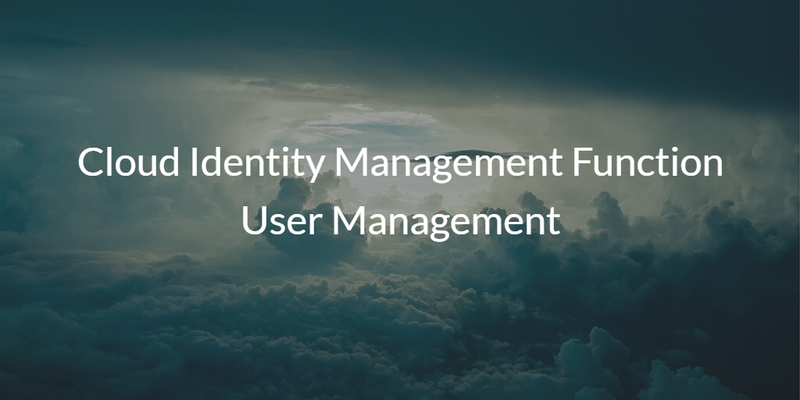 In this blog post, we’ll discuss one of the core functions of a cloud identity management solution: user management. User management can take a lot of different forms. You may need to manage users on a server or an application, or maybe you need user management for your WiFi network. To have central control over all of these different forms of user management, you need to adopt a structure that allows user management across your entire IT network. In a modern infrastructure, this can be best achieved via a cloud-based identity management platform. But first, we’ll discuss the old approach to user management, which was established long before the advent of the cloud. This path was historically covered by the identity management solution Microsoft Active Directory®. Active Directory was introduced in 1999 and quickly became the market leader in managing users on a network. Of course, at the time, networks were largely homogeneous. Microsoft Windows ruled the enterprise network and virtually all IT resources were on-prem or within data centers connected to the headquarters networks. This structure allowed IT admins to simply add and delete users from the directory service to control user access to laptops and desktops, servers, files, applications, and the network itself. Permissions could be modified based on the user’s role via a concept called groups. This was user management in the early stages of the Internet era. Over the last two decades though, much has changed in the world of user management. Before we talk about identity and access management’s move to the cloud, we should discuss how users and access to IT resources have changed. Today, virtually every office relies on cloud-based infrastructure in some significant way – even if it’s just Google Apps. You’d also be hard pressed to find any of today’s workers that aren’t connected to web applications, or selling or buying over the Internet. Finally, while Windows machines are still common in offices, Mac and Linux workstations are now expected. In short, the fundamental nature of the IT infrastructure has transformed – and with it, the way we look at and work with user identities has transformed too. User management is more critical than ever. 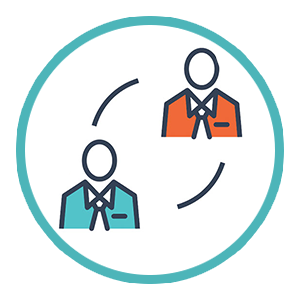 One major task that IT is responsible for is quickly onboarding and offboarding users and ensuring that they have the right access to the right systems, applications, and networks in order to do their jobs. Leveraging legacy technology like Active Directory is no longer an option. Only one in five devices is Windows, Linux servers are more popular than Windows Servers, and the data center has shifted from being on-prem to being hosted at AWS or Google Cloud. Additionally, web applications are becoming more popular than on-prem applications, and WiFi has overtaken wired networks. The heterogeneity of the IT infrastructure is a significant challenge when thinking about user management, and Active Directory offers no solutions. Fortunately, a new generation of cloud identity management platform called Directory-as-a-Service® (DaaS) is addressing the challenge. DaaS is an efficient and secure user management for the modern, mixed platform environment. 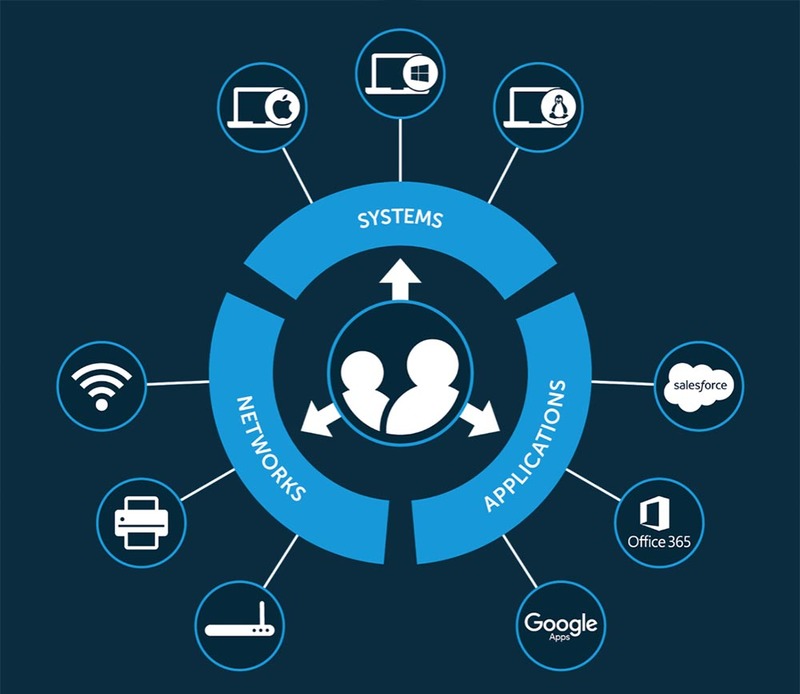 The modern cloud directory services platform securely manages and connect user identities to the IT resources they need, including systems (Windows, Mac, Linux), servers (on-prem or in the cloud), web and on-prem applications, and WiFi or wired networks. If you would like to learn more about how the cloud identity management function for user management can support your modern IT environment, watch the video above or reach out to us directly through our contact page. If you’re the hands-on type, you can sign-up for a free JumpCloud IDaaS account and give the cloud based directory a try for yourself right now. Your first 10 users are free forever.